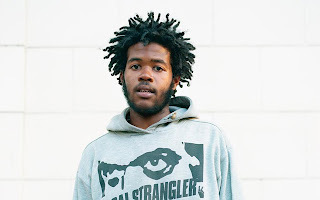 Video: Capital STEEZ - "135"
One of the most promising upcoming rappers form the ProEra rap crew, Capital STEEZ, tragically ended his own life a few months back. It was really sad and caught everyone off guard, but to honor the man the crew released a new video for his track "135." The song is on his mixtape AmeriKKKan Korruption, which came out last year. The visual is simple and just focuses on STEEZ as he chills around the city and spits some rhymes. Watch below.